The PRIAM stroller is the jewel in the crown of the CYBEX Platinum range. The PRIAM is an innovative 3-in-1 system. This means that one frame enables three different uses: as a travel system with a matching Carry Cot, with the award-winning infant car seat Cloud Q or as a luxurious stroller. 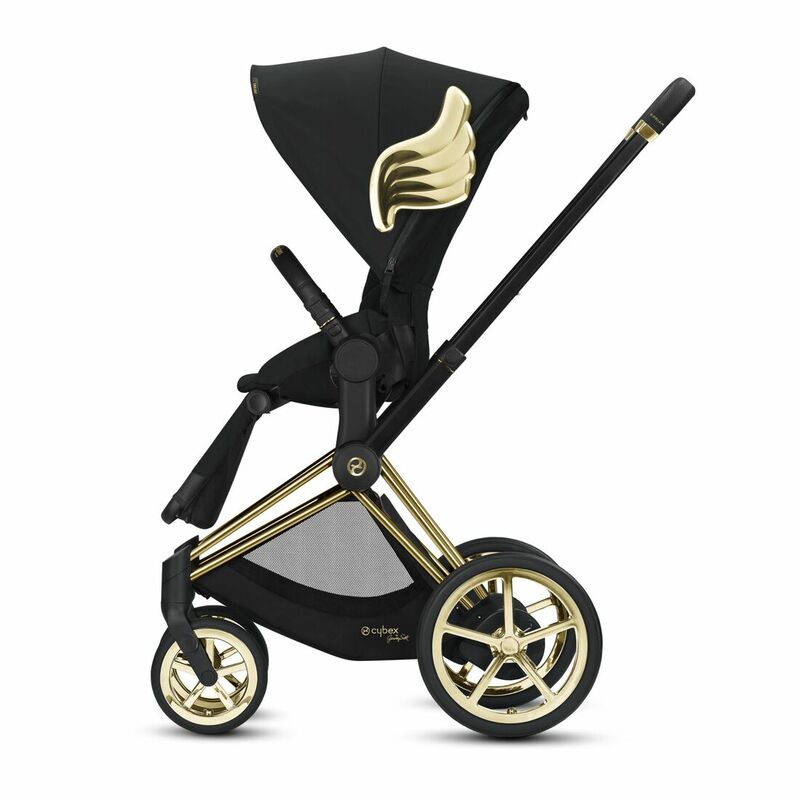 The PRIAM from the Jeremy Scott collection is smart black with a unique gold frame, trekking wheels with shiny gold spokes and, of course, the signature gold wings on the Carry Cot and Lux Seat. The PRIAM Lux seat can be adjusted to a comfortable lie-flat position with just one hand. Wether forward-facing or rearward-facing, the PRIAM Lux and 2-in-1 Light Seat can be easily adjusted to the favored position.